Father/Son first PC build! Things have moved on from my first PC 28 years ago (Intel 80286, 1Mb RAM, 40Mb - yes Mb - HDD). Anyway, the goal of this build was to build an upgradeable system to compete with current budget gaming laptops that run around $800 and then be somewhat future-proofed. Since we're replacing a 2.5 year-old gaming laptop, this needed to be a complete system including OS and monitor, which was a pretty tall order at this price point. Oh and be reasonably portable. Went for an 8th Gen Intel Core i3 as the budget processor as it appears to compete well with previous generation core i5s. By going with coffee lake chipset, the motherboard can support latest gen intel chips up to i9 for future upgradeability. The Core i3 comes with a basic CPU cooler in the box, shaving off some cost. Speaking of the motherboard, while we were looking for Micro-ATX to fit the case, ended up going with the Gigabyte B360N mini-ITX since it included on-board 802.11ac Wifi at a lower cost increment than purchasing an additional Wifi card. It does only have 2 memory slots so max memory will be 32Gb but that shouldn't be an issue on a budget build. The board does have some nice features including an M.2 slot. Went with a single stick of 8Gb RAM to keep the cost down, can easily add another later. Since the MB has an M.2 slot and supports Intel Optane, there was a choice between going for a 32Gb Optane card with a HDD or an SSD+HDD combo. While the Optane+HDD set up might be simpler to manage (no decisions about which drive to install stuff on) the Optane memory wouldn't contribute to overall storage capacity. 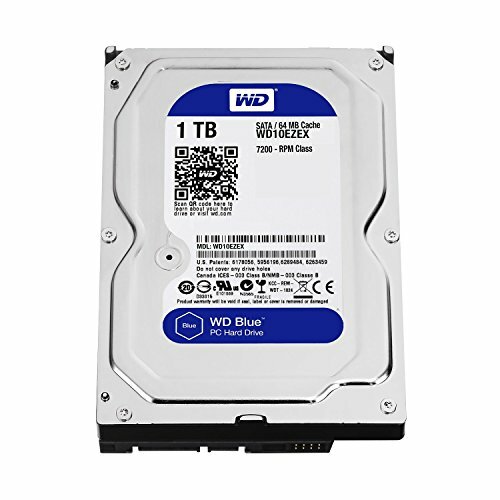 So ended up choosing a more traditional SSD+HDD setup able to get a 250GB SSD and a 1TB 7200RPM spinning disk. The SSD is an M.2 model which occupies the slot on the MB but don't need it for anything else. It's amazingly compact and slots in on the back of the MB (see pictures). Would have liked a bit more storage but desire to keep price down limited choice. Picked the Gigabyte GTX 1050 Ti as a good value card paired with this CPU. The BitFenix Prodigy M has a handle on top to help with portability and seems to be a reasonable size. 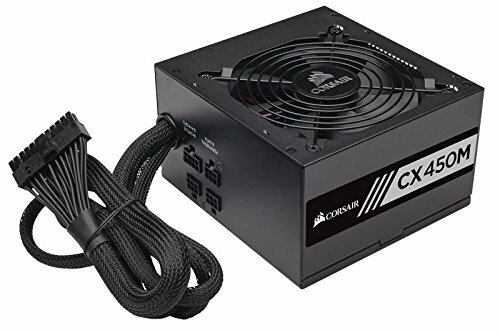 Added a Corsair CXM 450W power supply which is at the low end for power but this setup won't draw much power and got a great deal on the semi-modular PSU. Case is much more ideally suited for installing 2.5" HDDs out of the way. 3.5" can only be installed in a vertical panel that obstructs the view through the side panel. Installing 3.5" on the floor isn't possible due to tight quarters for plugging in SATA cables and anyhow you'll probably want to put a fan or two there anyway. Finally, needed a monitor. 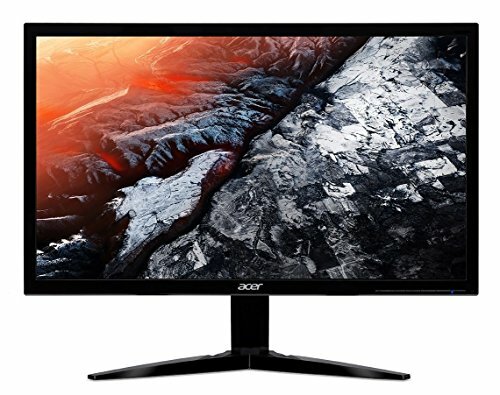 Given the budget nature, aimed for a 1920x1080 resolution screen and found an Acer 1920x1080 24" (ish) as a good complement to the rest of the build and found a great deal on a certified refurbished. Throw in a somewhat luxury Corsair K55 RGB keyboard for a build of this price (you could shave off $40 with a Logitech K120 instead) and a copy of Windows and we have a complete system (bring your own mouse). So far have not ordered any case fans. Will review temps and potentially add those later. 4-core coffee lake budget processor consensus appears to be similar performance to previous generation core i5. Was able to pick it up on sale at local Fry's for great price. Comes with a CPU cooler so not expecting to need to purchase an additional one. Was looking for micro ATX or smaller board to fit a case but landed on this Mini ITX since it includes 802.11ac on-board wifi as a cheaper option than adding a Wifi card (also comes with a an antenna on an extension for better placement). Has an M.2 connector and supports Optane but went with more traditional SSD+HDD combo. Only has 2 DIMM sockets which will ultimately limit RAM upgradeability. Decently sized SSD. A toss up between an M.2 form factor versus an 2.5" the M.2 is very small and slides into the MB. It will use up your M.2 slot but presumably you'll be using this in an SSD+HDD combo and won't need Optane. A good value 7200RPM spinning disk the 1TB size keeps costs down on my budget build. 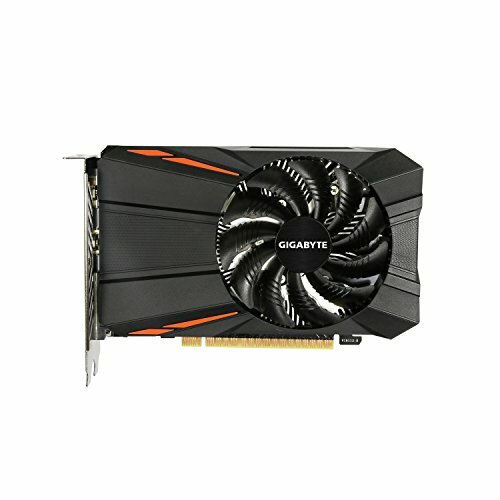 Looking for value and ability to run 1920x1080. Figured anything much more powerful would bottleneck my budget Core i3-8100 CPU the 1050 Ti strikes a good balance between price and performance. Looking for a luggable case, this is MicroATX for future flexibility with a handle on top. The case actually came with 2 fans, one on the floor and one in back and that oneis an LED fan with a 2-pin connector. Case has a single external slot for ODD. It can mount a bunch of different drives but biggest challenge was mounting a 3.5" HDD. I really wish I'd bought a 2.5" HDD instead. The 3.5" can theoretically be mounted on the floor next to the fan but unfortunately we could figure out how to secure it while having room to install the SATA cables. The only other choice was to install it in the vertical panel which obstructs the view through the clear side panel. If I'd had a 2.5" HDD those could have been slotted in the opaque side panel instead. Power supply mounts at the front with the switch then accessible under the case. It has an internal power cable that routes the power plug to the back of the case. The handles on top flex a bit when picked up, but hopefully they will hold up. Good value with a mail-in rebate seriously dropping the price. 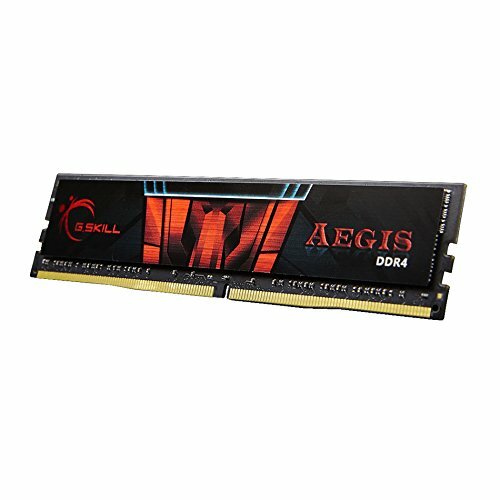 On the low-side for power but should be sufficient for my budget setup. You'll want to actually download the installation from Microsoft and drop it on a $10 USB stick if your build doesn't have an optical drive. Value pick, no need for greater than 1920x1080 on my budget build, certified refurbished resulted in a great deal. Comes with AMD Freesync but that will go to waste with any GTX card. For the GPU an RX 570 would have honestly been better. For the same price or even cheaper you can get around 30% more performance compared to the 1050Ti. The 8100 is a very powerful CPU and wouldn't have been bottlenecked much.